The Lope: Cardinals Win World Series! 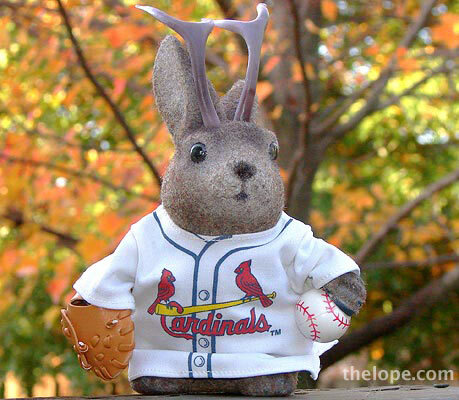 Though jackalopes are not innately sports fans, Ace has enjoyed an occasional game of baseball. He understands it better than he does American football, which he thinks would go faster if one team would simply kill the other and retain permanent possession of the ball. He was delighted that a baseball team from St. Louis - a Route 66 city - won the World Series. It was the St. Louis Cardinals' first series win since 1982.